Home Travel 5 Places that will make you fall in love with Mumbai rains! 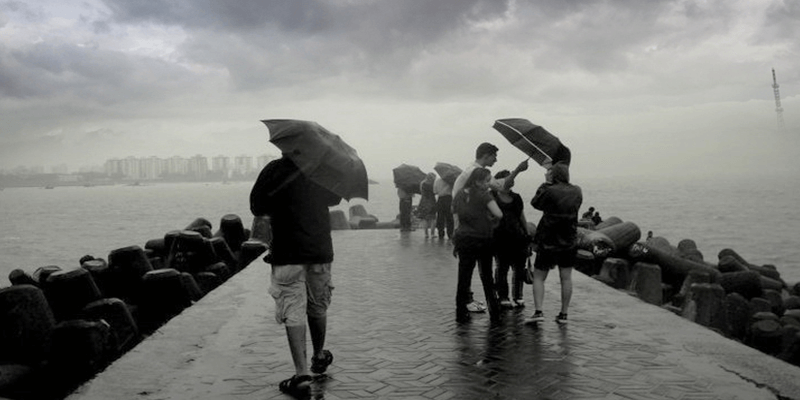 5 Places that will make you fall in love with Mumbai rains! After months of heat and humidity, the monsoons have hit the Indian shores. 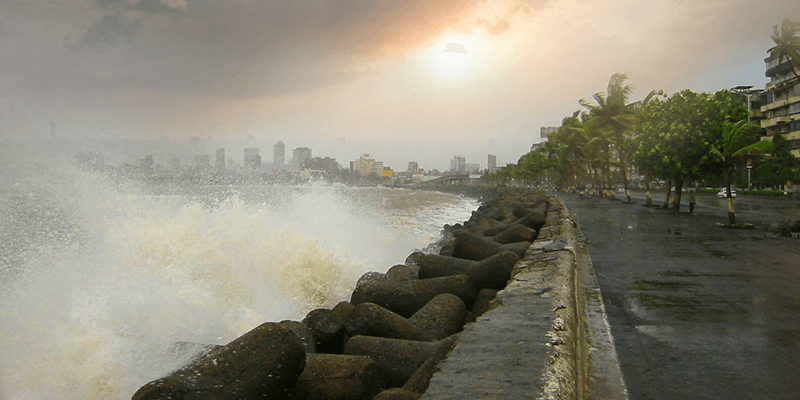 Monsoons might not be an ideal time to explore some of the popular tourist destinations, but it is the perfect time to take a trip to through the places to visit in Mumbai. 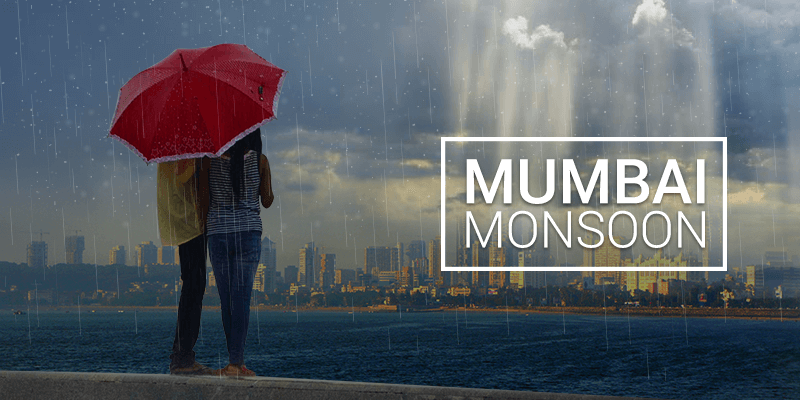 Over the years the landscape of Mumbai has changed, even its name (from Bombay to Mumbai) has been transformed, but what has stayed constant is the beauty of Mumbai monsoon! The cloud laden skies and trickling drops of rain bless the business capital of India with a beauty you cannot miss. Couple it with a long drive through one of the many coastal roads and some cutting chai – and you have the perfect recipe for a memorable day soaked in the Mumbai rains. Today we bring before you some of the best vantage points to view the Mumbai rain (and yes, you would not find these in the standard Mumbai tourism itinerary!). Marine Drive can even make the torrential rains seem awesome! 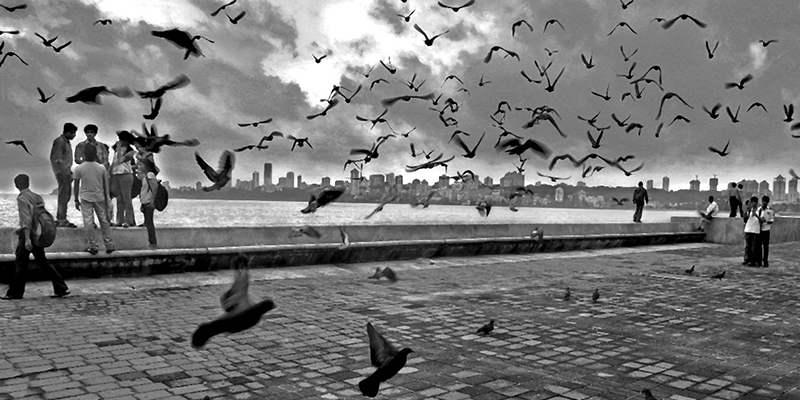 Marine Drive, in Mumbai, is 102 years old and 4 KM long Boulevard. This 6 lane driveway, lying on the Bay shores offers a scenic driving experience on a rainy day. You can also drench yourself sitting on the parapet in solitude on a rainy day and see the droplets meeting the bay. Whether it is raining or not, you can enjoy your time at the Marine Drive by tasting some hot cobs or roasted salty peanuts. If you want some more treats then knock on the doors of ‘Pizza by the Bay’, which overlooks the Bay and offers crispy and hot Pizzas. Or you could choose to spent the rainy day like a Mumbaikar and have some cutting chai on the Marine Lines. Must do: During the rainy season, when the view is breath-taking, you could take a horse ride from Marine Drive to Nariman Point and back. Do haggle for lower prices. Beware: It is not safe to venture on the Marine Drive lanes when the high tides turn in. Carter Road Promenade in Bandra is a kilometre-long walkway beside the sea. This is one of the most scenic areas of Mumbai and is marked by many old Goan, Portuguese-styled homes. These ancient buildings are not only remarkable examples of Indo-European architecture, but they can serve as an ideal backdrop for a great photograph. As you walk ahead on the winding paths of Chapel Road, you would come across graffiti filled walls, stop by here to take some selfies. A bit ahead lies the Mount Mary Basillica and then you come across the 400 year old Bandra Fort or the Castella de Aguada. Climb on the ramparts of Bandra Fort and you can get the best rain-drenched views of Bandra – Worli Sea Link Bridge. With some clouds in the backdrop the bridge appears like a perfect pencil sketch! Must taste: There are many quality eateries in the near vicinity. Some of them include Suzette, The Bad Cafe, Jude Bakery, Kalpana Snacks, Doolally Taproom. Also try Kepchaki Momos or Lassi Te Parrontthe. Juhu Beach lies on the last point of the Marine Drive. Juhu Beach in Mumbai is a well-known name among the tourists, but it remains most beautiful when there are rains around. You can sit on the rocks here and enjoy the winds along with amazing weather. Even when it is raining heavily, you would find some enthusiasts jogging or walking on the beach. So stay in theme, and put on your jogging shoes and enjoy the drops of rain while you are at it. You can also choose to walk on the aisle where the waves and sand meet each other. It is quite a therapeutic stretch to walk by. If the weather clears out, you can of course play some beach volleyball. While you are at the Juhu Beach keep yourself hydrated (even on a rainy day) with plenty of fresh fruit juices and some coconut water. Bandra Bandstand is a lover’s den for most couples in Mumbai. The solitude and the scenic beauty of the rocks make it an ideal place to hold hands of your partner and murmur those romantic words. 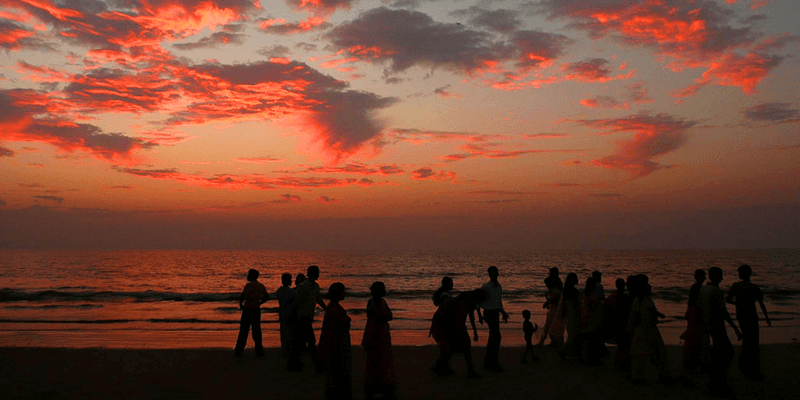 During the monsoons you would also find many school and college student groups thronging the place and enjoying the breath-taking environment of Arabian Sea shore. But before you visit the Bandra Bandstand do care to wear sports shoes, especially if you plan to go a bit deep into the rocks. You might find crabs and other sea animals waiting for you there! While at the Bandstand you would find many bikers on Bullet, Enfeild and Yamaha or Sports bikes speeding up even when it is raining quite heavily. Just a short distance from this beach lies the imposing Portuguese watch tower – Castella de Aguada or Bandra Fort. Must taste: Try some hot popcorns or bun samosas here. You can also visit the Hershey’s Bakery known for best lemon tarts, good rolls and puffs. Trivia: Jalsa and Mannat, dwelling places of Bollywood stars Amitabh Bacchan and Shahrukh Khan respectively are close to Bandstand. In case you are lucky you can find the private charter bus of Mr. Khan out there. “Let the rain sing you a lullaby”… Rains glorifies the beauty of this private, yet public, beach island. Madh fort was built by the Portuguese as a part of their trading empire and the Madh Island mainly houses the fishermen community of Mumbai. Serene, scenic landscape and cosy houses make Madh Island a great photographic-escape for any solitary reaper. The island can be reached through ferries and during the rainy season this ride can be a thrilling experience. 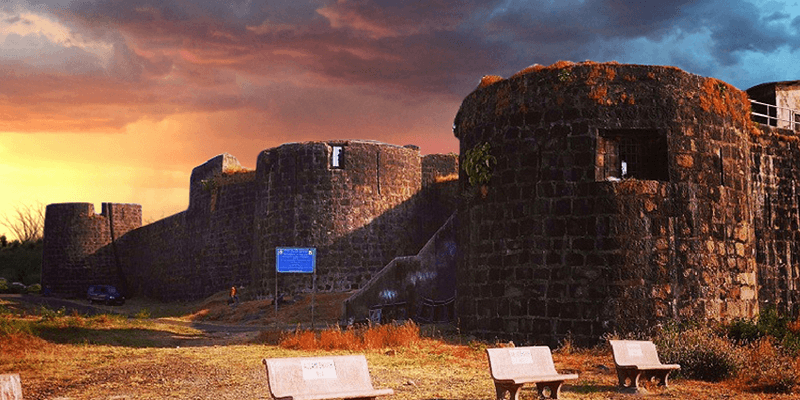 Once you reach the Madh Island you can visit the ancient Madh Fort or Versova Fort, with prior permission. The ramparts of this fort offer unobstructed views of the sea and the views of rain from this fort are enough to infuse a poetic sense in you! Boat services: Regular ferry service is available between Versova and Madh Island. The services start from 5 AM. The ride costs INR 13 per person and an extra of INR 10 for bikes. Trivia: Marve Road, on Madh Island, is popular among the Mumbaikars as a haunted road! Shopping: Madh Island is the best place to shop for sea fresh fish. Mumbai monsoons have a beauty of their own, they truly make you believe that rains are heavenly! Previous article5 Scenic bus routes of Gujarat, you never knew about! Next article8 Amazing Places near Hyderabad you never knew about! Hey, You did a great job. I like your blog and the way how you describe the Mumbai city with the list of things to do there. I lived in Mumbai for about 2 years, and my personal favourite is watching sunset and spending evening at marine drive. And while sitting at MD, munching bhel-muri.